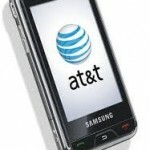 A new study by Consumer Reports finds that AT&T ranked behind first-place U.S. Cellular. Verizon Wireless, Sprint and T-Mobile also scored higher than the exclusive service provider of Apple Inc.’s popular iPhone. AT&T was the only carrier rated by the magazine to have its overall satisfaction level fall this year. The carrier struggled in all 10 categories used to determine the rankings, the magazine said. 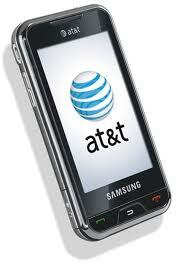 Consumer Reports readers gave AT&T an overall score of 60, far behind the 69 they gave to second-to-last T-Mobile. AT&T’s data and voice services and its customer service — including staff knowledge and the ability to resolve issues — were all deemed lacking. I had the iPhone for years and finally got fed up with the dropped calls. I switched to Sprint and got the HTC Evo, better phone and no dropped calls. I only use ATT because of the iphone exclusivity. I have problems with them both in cell reception, quality of calls and customer service. I used to have verizon and it was a superior service, but bad phones. Some of their new Android stuff is better, but I like the consistent user experience of Apple over the Droid fragmentation. So I’m stuck until both Verizon gets the iphone AND my contract expires with ATT. Luckily I get great reception at my house, but my commute to SLO on 101 has a few drop outs south of Atascadero. Also there is no 3g in South Atascadero. Other problem spots with ZERO coverage is between Orcutt and Islay streets on Johnson ave in SLO. Lots of drop outs. INterestingly enough another dead zone is the strip mall at Orcutt and Broad where Taco Roco / Subway is. Up on the street its fine, but down in that strip mall its dead. AT&T doesn’t even have decent service in its home town of San Francisco. Oh, wait, there are those things called “hills” in San Francisco, aren’t there? I actually have Verizon and AT&T. Had Cellular One. I am very pleased with Verizon and reasonably happy with AT&T cell service. I can get Verizon reception at the base of the Grand Tetons but not with AT&T. Sooooo, next time I take my AT&T cell phone with me so I have an excuse NOT to work during vacation. My mama didn’t raise no dummy…. Worse yet. Anyone that is a Cellular One customer, AT&T just bought them last month and you have to switch over to them in the near future.